King University’s Digital Media Art & Design Department has teamed up once again with Believe in Bristol and the PUSH! Film Festival to create the official poster for the event. The festival takes place Historic Downtown Bristol TN/VA Oct. 20-22. 3 Days. 2 States. 1 Film Festival. The PUSH! Film Festival is a competitive, three-day festival and celebration of the cinematic and visual arts. 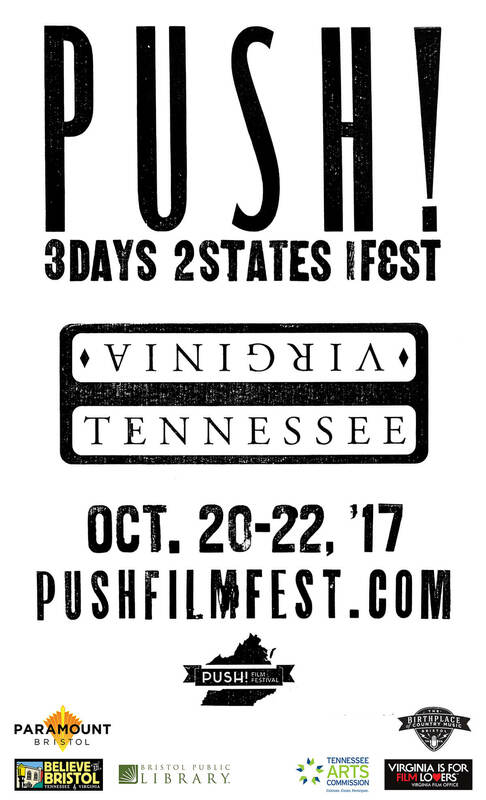 By bringing diverse films to our community and showcasing the best regional filmmakers, PUSH! aims to expand the artistic image of our region, engage new audiences in the world of film, and inspire creativity. Some of the competition film categories include Best Tennessee Film and Best Virginia Film as well as Best Shorts and Best Feature for local, national, and international audiences. The audiences also have an opportunity to vote for their favorite film submission. PUSH! will also offer exciting parties and get-togethers, along with a variety of educational opportunities for filmmakers and audience members of all ages. Films and workshops will be held across several venues including the historic, art-deco Paramount Theatre, the Bristol Public Library, and the Smithsonian-affiliated Birthplace of Country Music Museum.